First Big Brother 15 Photos Released — Big Brother 2013 Cast, House Info Coming Soon! Photo: Bill Inoshita/CBS © 2013 CBS Broadcasting Inc. 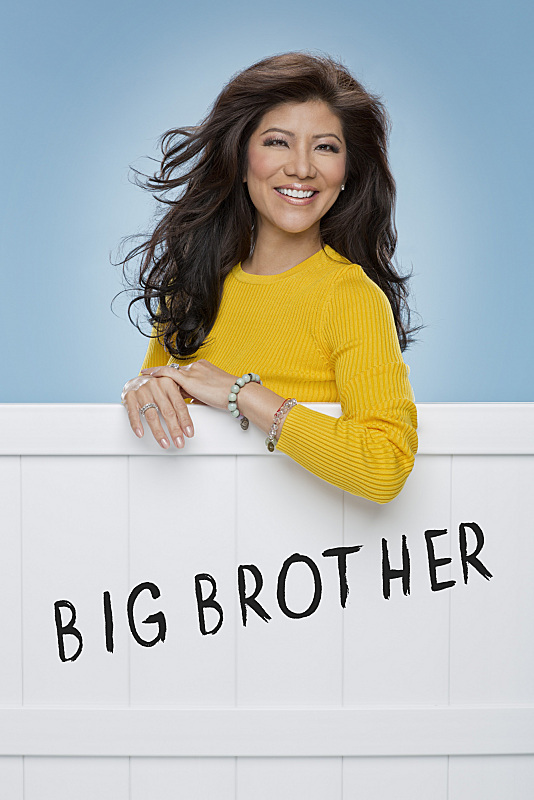 The first official CBS Big Brother 2013 photos have been released of perennial host Julie Chen. We have to say, Julie is still looking fabulous after all these years! Is her hair even longer this year? We’re not sure, but we do know that while Julie is looking great, we can’t really say the same about that yellow sweater thing she’s wearing. Just not your color hun’. So what does it mean that the first official Big Brother 15 photos have been sent out into the world? Well, we’re excited to say that all the big reveals about the Big Brother 2013 cast and the BB15 house are just around the corner! Big Brother media day already took place earlier this week and all the fan sites (including us) are waiting anxiously for the go ahead from CBS to start spilling on the new cast, house and twists this season. At media day, members of the press and friends of Big Brother had the chance to spend a whole day playing the game and touring the new house design and theme. With all the major leakage last year about the Big Brother cast, the veteran ‘coaches’, and the house redesign, CBS is keeping a seriously tight grip on spoilers this year. The minute we are allowed to share any tidbit at all with you on the new season of Big Brother 15, we promise we will! Meanwhile, take any spoilers or other information out there you see with a huge truckload of salt.